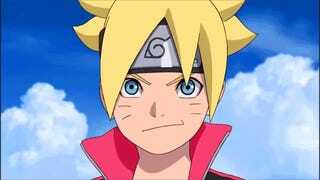 Boruto: Naruto the Movie, which stars Naruto’s son, ahem, Boruto, gets its first trailer. Here, have a look. It also features Sasuke’s daughter, Sarada. Naruto&apos;s Son Has a Silly Name. Here&apos;s Why. Boruto? Really? We’re really going to run with this? Boruto: Naruto the Movie opens in Japan this August.